The ABC Safety Vision is that the association will be the first choice and primary quality resource for both ABC members and the Central Florida Construction Industry providing superior products and services in the areas of safety training and education. 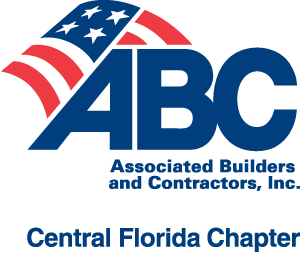 It is the mission of the Central Florida Chapter of ABC to change the culture of complacency and acceptance of injury currently prevalent in our construction community by raising awareness of existing, unsafe behaviors and changing those behaviors through behavioral based training, recognition of safe work, and accountability. The decision to work unsafely is behaviorally based and personal. Each worker must make a personal, voluntary decision to change their attitude toward safety. Working safely is a decision and a choice, not an accident. Hard hat stickers and competent person cards – Recognize your employees with hard hat decals when they complete any of 9 different safety training courses or recognize your company drug and alcohol free workplace policy. Order and see samples here.